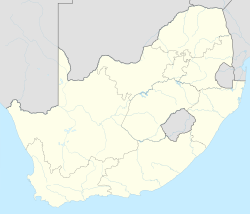 Ophirton is a suburb of Johannesburg, South Africa. This industrial suburb lies three kilometers to south-west of the Johannesburg CBD. It is located in Region F of the City of Johannesburg Metropolitan Municipality. 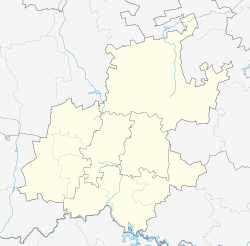 Ophirton has it origin in 1888, not long after the creation of Johannesburg in 1886.:154 The suburb is situated on part of an old Witwatersrand farm called Turffontein. It is named after the Paarl Ophir Gold Mining Company that owned the land. It has its origins as a dusty residential suburb, that was surrounded by mine dumps, and occupied by the poorer classes. :154 Chandler's Brewery was one of the early industrial business' in the suburb. :154 Nowadays the suburb is mostly industrial but a few old residential houses remain. ^ a b c d "Sub Place Ophirton". Census 2011. ^ a b c Leyds, Gerald Anton (1964). A History of Johannesburg: The Early Years. Nasional Boekhandel. p. 318. This page was last edited on 25 March 2019, at 18:01 (UTC).